Well sort-of. I had worked on v3.0 off-and-on for the past 10 years, approaching it on four separate occasions. But the commitment to actually finish and release it would not have been possible without a certain key event a few months back – a hard drive failure. And on this hard drive of course was all of the unreleased work I had done on the Exodus Project. Of course that sounds counter-intuitive, but it did ultimately lead to a finished product. But before that happened, I made three other attempts to start work on the project. CGA Composite 16-color mode new! VGA is, of course, the new highest color mode available. 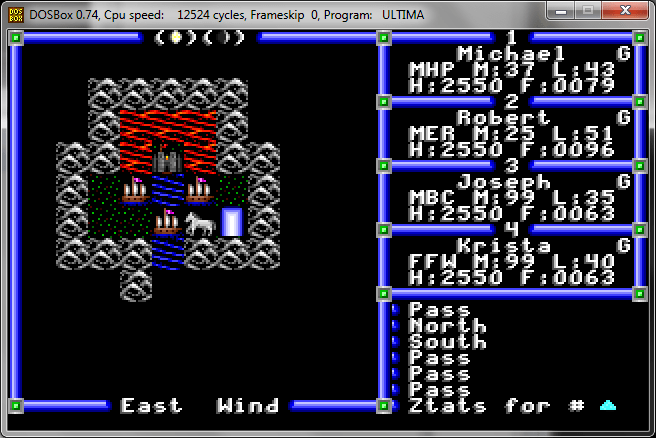 But less well known that Ultima 3 was actually intended to be played in CGA Composite mode, where it looks more like the Apple II version. In addition to the above, you now can now display the actual moon phases, instead of just the numbers 0-7. Furthermore, the Exodus Project is now fully open source! Please check out the status page for the full scoop and download it here. Oh, and none of this would have been possible without a hard drive crash. Ironic right? The back story is forthcoming. Here’s another image from the same source. 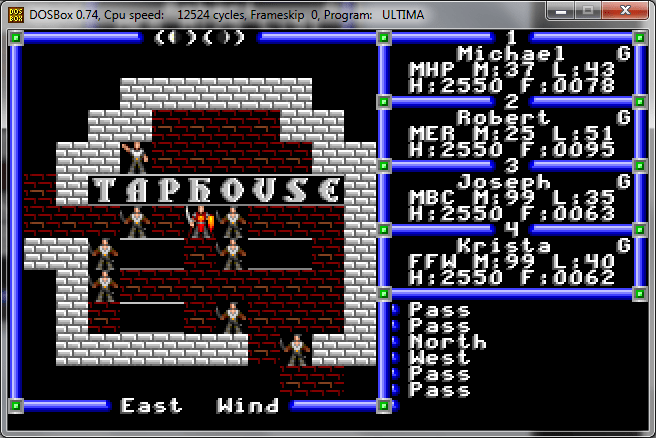 It definitely not VGA, it doesn’t look like EGA, and it’s more colors than we’re used to seeing from CGA. But if you look closely, note the mountains… why are they a mix of red and blue? 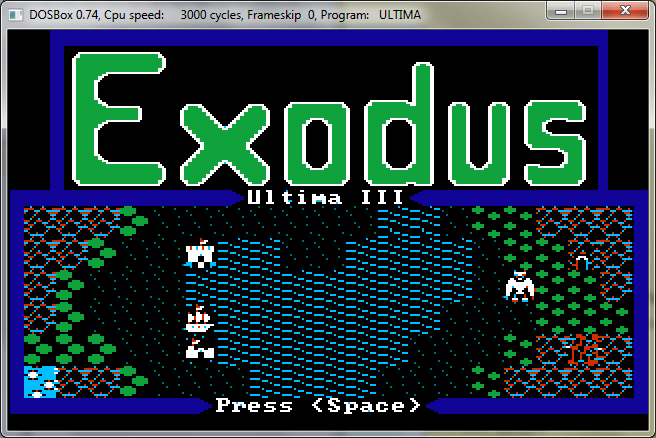 In fact, it looks almost like the Apple II version of Ultima. But it’s not. What is it?